For over 20 years, Bagit® “Original” has set the standard for flexible intermediate collection. It’s still around—and still the best—for ensuring maximum efficiency in the separation, handling, storage, and transportation of recyclables. Two bag freestanding rack part number 07P. Racks and bags are sold separately. 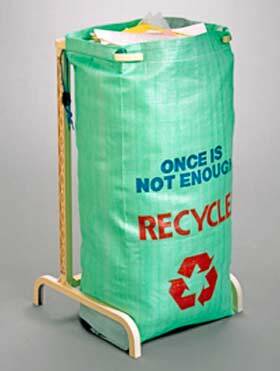 Available colors: Lt. Blue, Lt. Green, White, printed “Once is Not Enough—Recycle”, or unprinted. 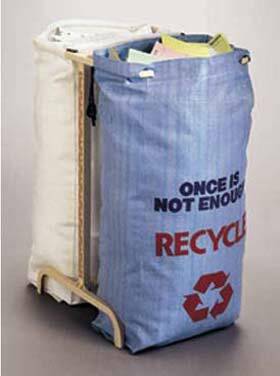 Custom logo printing, with your logo to identify your recycling program, is available with minimum bag order. Bags and racks are sold separately.